Team-building has undergone a radical transformation, though not everyone in the business is a fan. 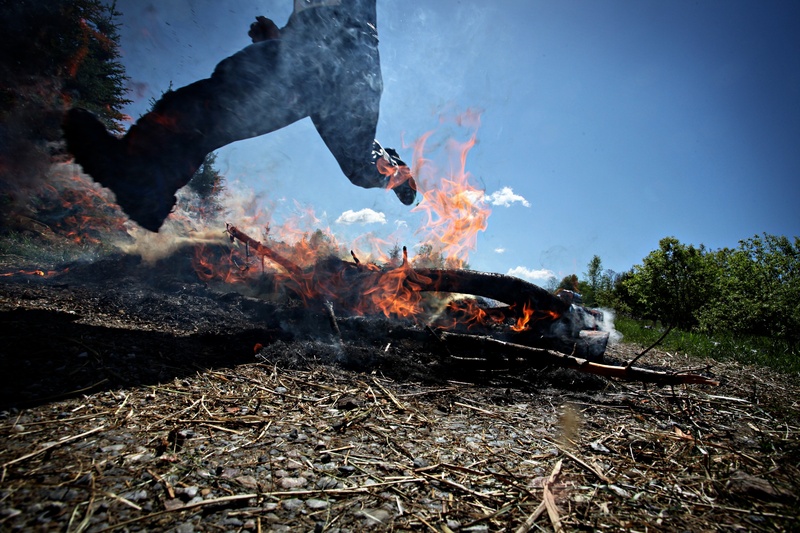 A participant in a "Spartan Race" runs over an open fire. Photo credit: Cronin Hill Photography. Early corporate attempts at team-building seem quaint by today’s standards.